There are no packaged tours, so you won’t be sharing the road with buses. In fact, you will hardly see any other tourists. Compared to the crowds of tourists in Þingvellir, Vík, and the Blue Lagoon, it’s just…empty. Nothing but you, the open road, and the sky. The drive to the Westfjords is spectacular. On the way there from Reykjavik on the Route 1, you will pass by Snæfellsnes peninsula, an area noted for its outstanding natural beauty. If you have an extra half-day, it would be well worth turning onto the road 54 at Borgarnes and taking a drive through to see Arnarstapi, Hellnar, and Snæfellsjökull itself, where Jules Verne located the entrance to the center of the Earth. Past Snæfellsnes on the Route 1, you will pass through the domed mountains and luxuriant dales of dairy country. When you are almost in the Westfjords, you will drive through Eíriksstaðir, the land which once belonged to Eric the Red, the father of Leif Ericsson. It is thought that Leif Ericsson, who led the famous Viking expedition to North America, was born here and there’s a Viking longhouse and historical recreation site on the property now. 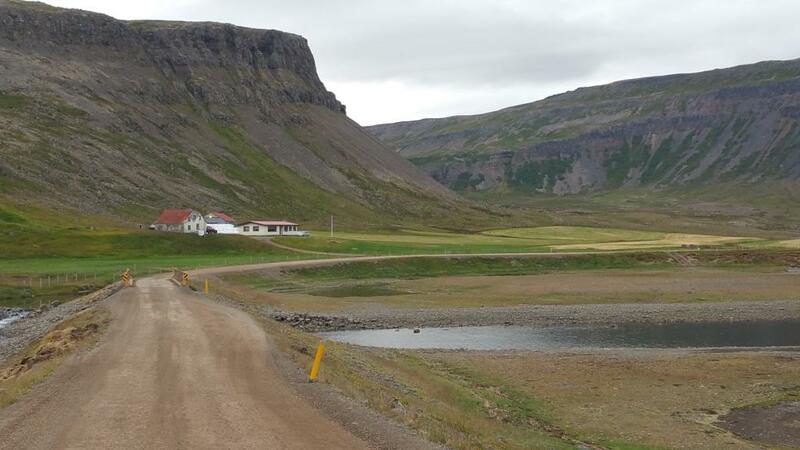 Once you are in the Westfjords, the road winds its way among the region’s mountains and deep, narrow valleys that will take you from the rocky coastline to barren, snowy, cloud-kissed highlands and back again. In between, there are lush alpine pastures that rise in almost vertical walls of vivid green and impassable rocky slopes littered with the debris of millenia. A farm in the Westfjords. Pristine, sparkling waterfalls trickle, splash, foam, and sparkle down crags and fissures in such great numbers that their beauty goes almost unnoticed and, after a time, comes to feel ordinary. In a single day, the exposed soil passes from brown to black to bright, rusty red. It is possible to read the history of the land in its geological and geographical formations as intimately as the patterns of a lover’s skin. The land here is older than anywhere else in Iceland, but still bears witness to the forces which shaped it: the mountain peaks all slope away from the continental divide that runs through the middle of our land. Wildlife is more plentiful here than in any other part of Iceland. This is the land of eagles and eiderdown ducks, puffins, mink, and seals. The ruler of this realm is indisputably the arctic fox. Even if you do not go as far as Hornstanðir Nature Reserve, the only place in the country where foxes are protected, odds are you will meet Iceland’s only (completely adorable) native mammal. 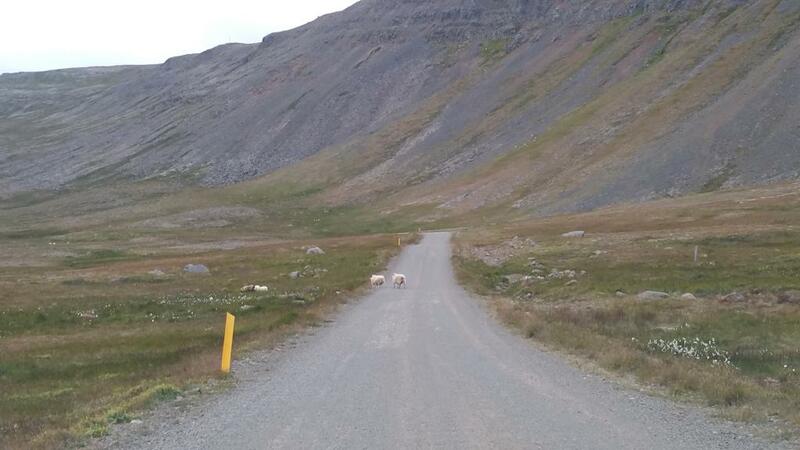 The last time I was in the Westfjords, our car surprised one such fox in her summer fur who panicked and dashed in front of our wheels. Unhurt, she scampered away into a field of long grass, her movements more exuberant bounding than running. On this same trip, I saw the biggest falcon I´ve ever seen perched on a fence-post by the side of the road. Later that evening, we saw a flock of wild swans land in water like liquid gold. Remember that wildlife often panics at the approach of cars so it is important to drive cautiously. The ubiquitous sheep and half-grown lambs that line the sides of the road will run in front of the car more often than not. The only animal you will not need to worry about running down is the seal. Colonies may be observed in Rauðsandur and in the vicinity of Isafjorður. Keep an eye out for some as you drive along the coast, especially if it happens to be low tide. Seals are so well adapted to this landscape that groups of half-submerged rocks can be easily mistaken for seals and vice-versa. Stop if you see the rocks flopping into upward-facing dog, hitting each other with flippers, or barking at each other. You’re either in luck or too drunk to drive. 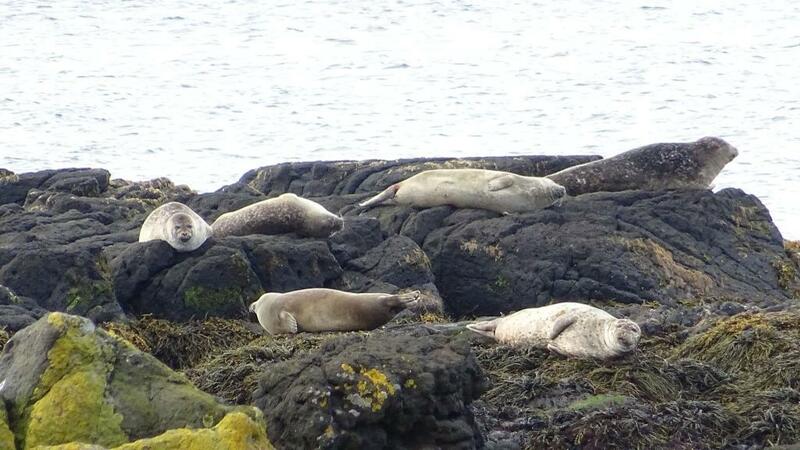 Some hotels in the Westfjords also offer kayaking tours out to see seals up close. For more on this, see reason #8, Heydalur. There are also boat tours out to see the nesting holes of puffins and towering apartment building-like rocks covered with bird families. If you’ve ever wondered what seagull chicks look like, this is the place to find out. For more on this, see reason #7, Drangsnes. 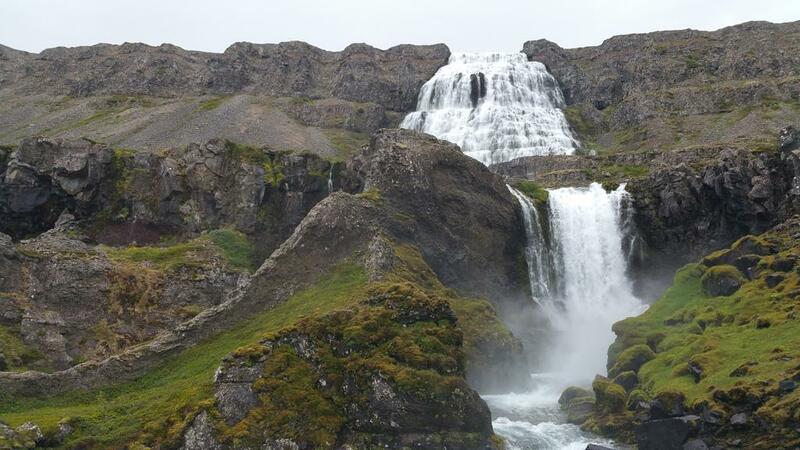 One of Iceland’s most justifiably famous waterfalls, Dynjandi starts out very small and gradually spreads itself wide as it courses down rocky walls some 100m high. The result is a mesmerizing, shimmering curtain with bubbling streams and clear pools of water at its base. Visitors can walk next to the falls and follow the course of the water all the way from the streams at the base to the most magnificent part of their cascade. The path is full of slippery rocks, bright green moss, and little patches of flowers so be careful where you put your feet! 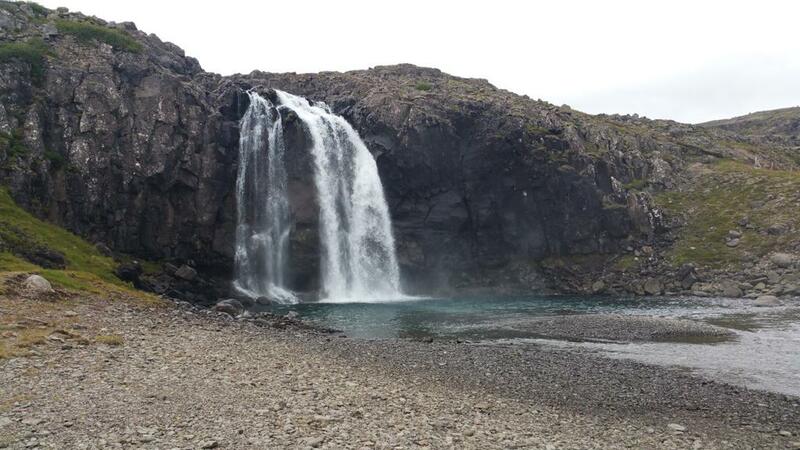 Dynjandi waterfall in the Westfjords. Heydalur reminds me a bit of a fairytale land far, far away: it takes some questing to get there, but once you are there, you can be sure of a warm welcome within. It’s a farm-turned-hotel tucked into the fold of Mjoifjorður. There are horses, chickens, dogs, and a talkative parrot. 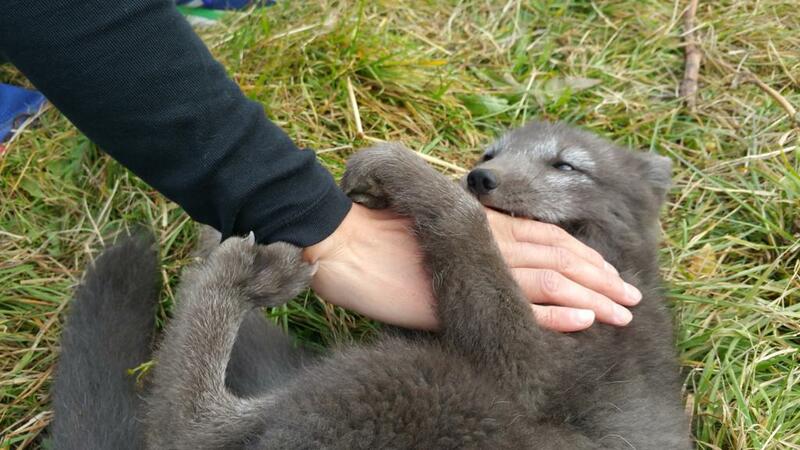 Sometimes there is an orphaned arctic fox which is cared for by the staff. Visitors can hike, go for trail-rides, fish in the nearby lake, or go kayaking out to rocks where seals like to hang out. In between activities, it’s pleasant to banish stiffness and chill by lounging in the hotel’s outdoor hotpots or loading up on delicious, hearty fare which always ensures a bellyfull of warmth. It’s also worth it to see the farm’s greenhouse and be amazed by how self-sufficient this place is. 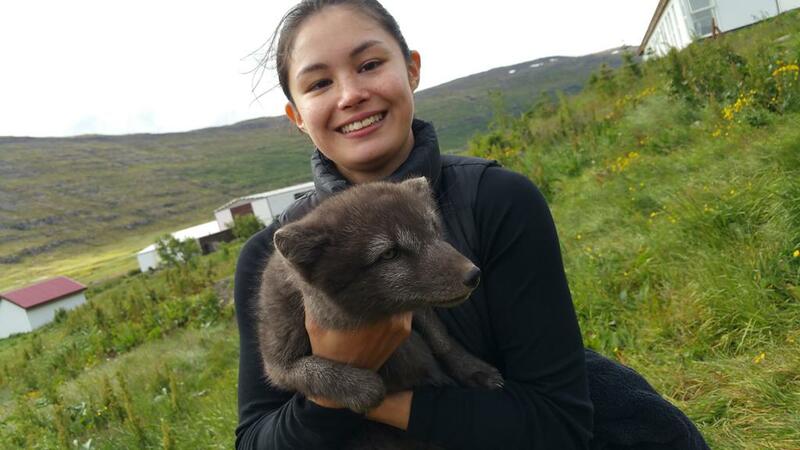 Mikki the arctic fox in Heydalur. Mikki likes chewing on people’s hands. 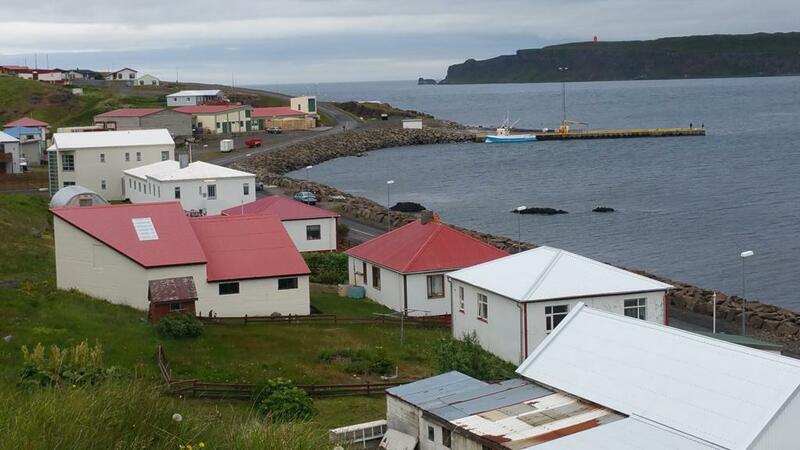 Drangsnes is a tiny little fishing village on the Southeastern coast of the Westfjords. It’s home to Malarhorn, a hotel consisting of an adorable collection of cabins and a restaurant serving impeccably prepared fish that was caught right outside its windows. 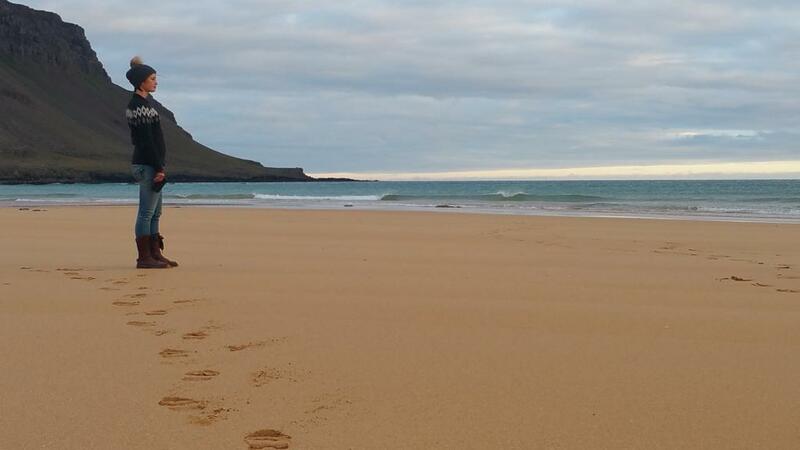 At the hotel you can ask about the boat that takes visitors out to see the nesting sites of puffins and other seabirds and to visit an island that is home to no one but the birds. Sightings of whales are not infrequent in this area and you might just be lucky enough to see one while you are out there. Cormorants in Grímsey in Steingrímsfjörður fjord. On the way there or back, I recommend checking out the fascinating Icelandic Museum of Witchcraft and Sorcery in Hólmavík. Those with strong curiosity and stronger stomachs might appreciate the museum’s recreation of Nábrók: trousers made from dead man’s skin. If you managed to make it all the way through the Westfjords without a single sighting of a fox, then this is a must-visit on your way out. It’s easy to lose a few hours browsing their informative exhibits, chatting with friendly staff, or taking it easy on the serene, sun-soaked porch with a plate of fresh waffles and local rhubarb jam and a million-dollar view of the surrounding mountains. Don’t forget to say hello to the center’s two most charming members- orphaned fox cubs named Ingi and Mjorri.